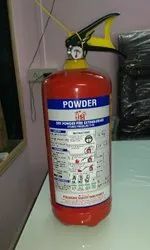 Pioneers in the industry, we offer abc type fire extinguisher from India. Abc type fire extinguisher is a complete solutions to almost all class of fire as the components used are of best quality to extinguish the fire. Looking for “ABC type portable fire extinguisher”?